We didn't make it to Molokini. We got all the way out and the captain announced the seas were too rough and would only get worse. Took another hour to basically come all the way back to a snorkel spot only about 1/2 hour from the dock. Almost 2 hours on the boat before we even anchored. I find it hard to believe the captain wouldn't know the weather situation in advance. The boat was packed and there were no seats for us on the ride out so we had to stand the entire way to Molokini. People left bags on seats to reserve them as well. Fortunately on the way back the front of the boat cleared out because the large waves were drenching those sitting there. Knowing we would snorkel and get wet anyway we made the best of it and sat up front and were soaked from the ride fun!. Once we got to the new snorkel spot Coral Garden? we enjoyed snorkeling. We decided to SNUBA which was great but honestly didn't leave much time to snorkel and eat. We felt rushed. I would skip the SNUBA next time although it was a cool experience and the guide was great. Everyone working the boat was friendly. Overall it was fun and I would do it again. Molokini weather was stormy, and we were not advised until everyone was already checked in and started sailing. Apparently they were waiting for weather to change and was in touch with other operators in the area. We were redirected to an alternate area and there wasn't much to see. However, the staff was great, and they did offer more whale watching opportunities than the actual whale watching tour we took the day prior. It was just a real bummer we didn't get to experience Molokini. My wife loved it. I got super motion sick on the boat. Tour was ran very well. Great trip out to the island, the crew was very knowledgeable and friendly. This was my first time snorkeling and they gave great instructions. Crew members were out among us to ensure safety and had wet suits to rent 5 that kept,us comfortable. Amazing views of the reef and colorful fish! Good buffet on the way back. Absolutely wanting to do this tour again when Im back in Maui! The trip was nice, Molokini is beautiful and the snorkeling was good and the food was quite good. My biggest complaint about this tour was the lack of information about their location and the parking on the confirmation. 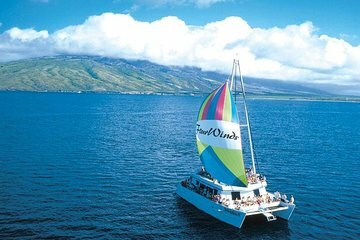 The confirmation said this was operated by Maui Classic Charters, but when we finally found slip 80 the sign said Four Winds II. The confirm said slip 80 but since we had to arrive before sunrise to check-in, it was dark and impossible to see the slip numbers from the car. 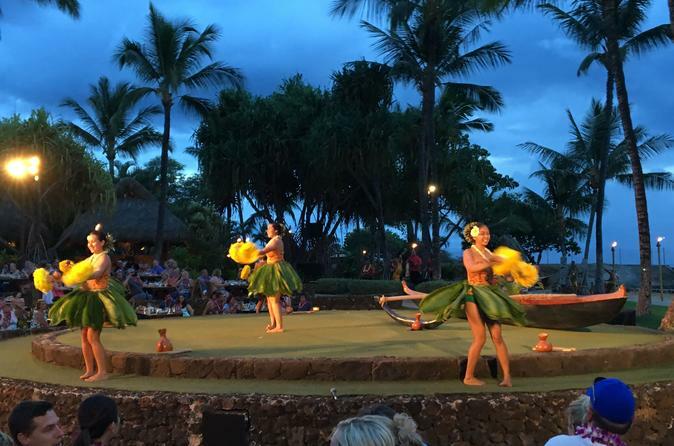 We came from Wailea and pulled into the harbor on the east end where there is very little parking and since we couldn't see the slip numbers, we grabbed a parking spot and paid by phone which takes a few minutes to do on your smartphone. Then we started walking and found out that slip 80 is almost to the very end of the part of the harbor that juts out into the water. If you are coming from the west side Lahaina area you will probably pull into the harbor on the west end and will be closer to the slip. After we parked, there were dozens of people frantically searching for the slip in the DARK and asking do you know where this is? Just so you know the odd number slips appear to be on the land side of the harbor and the even numbers appear to be on the part that juts out in the water. Also, the confirm said to check-in at 7:00 but no one was there to check us in until about 7:20. The week before we had snorkeled in Kauai and the confirmation info, the follow-up emails, phone calls and texts provided all the info we needed. In addition, the provided instructions led us right to the parking lot, the check-in desk was manned when we arrived and the crew onboard were all very helpful and attentive. In comparing the two, I give this one only 3 stars. This tour was great! The experience itself was wonderful- seeing whales and turtles on the way out to Molokoni was an added benefit. The staff on the Four Winds II was incredible; super friendly, knowledgeable and fun! I would highly recommend this tour! Tbe snorkrling trip was great. Captain and crew were knowledgeable, helpful and it was easy to see they enjoyed their jobs. A fabulous, sunny day aboard the Four Winds. Slowed to watch whales on the way out to Molokini. Enjoyed a perfect day of snorkeling, saw tons of fish in this healthy coral reef. We used the provided snorkeling equipment, and opted to rent a wet suit for an additional 5. Worth the extra cost on a cool day in February. The staff was superb. Very friendly and welcoming. The captain was also great, and quite an expert on humpback whale behavior. Enjoyed a continental breakfast and coffee on the way out, then a pretty decent lunch on our way back. Plenty of food with choices of grilled chicken, pulled pork and hot dogs. Beer and wine available as well as soft drinks and water included in price of trip. We stopped for about 40 minutes on our way back to watch a pod of humpbacks. Got to see some extraordinary behavior, including several breaches. It was a blast, made even better by the extremely pleasant staff and great weather. Snuba was avqilqble for an extra cost, and they tried to sell photos of the trip, although it wasnt a hard sell. All in all a fantastic day! The wind was brisk, and the captain opted not to go to Molokini, but instead to anchor close to the west shore of Maui for snorkeling We were motored throughout and no effort was made to sail on this sail and snorkel adventure. Our group included several families with young children as well as non-swimmers. The crew was courteous, attentive and helpful to all, but ancillary equipment floats, photography, wetsuits were marketed for extra pay. The boat was spacious, clean and comfortable. The food was mediocre. Breakfast and lunch were offered in brochure. We had a limited continental breakfast, and a limited grill chicken, hotvdogs was served as lunch at 10:30 AM. Wine only chardonnay and beer were made available after the swim.